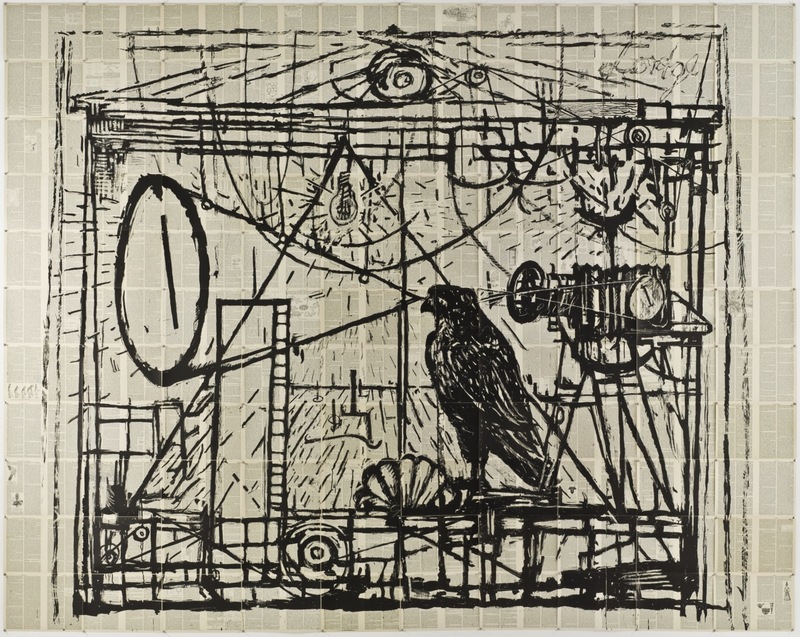 Learning the Flute is a print which consists of 110 pieces done by William Kentridge in 2003 in collaboration with The Artists' Press and published by The Goodman Gallery. It was in two editions consisting of eighteen numbered prints with additional proofs. The one edition was black on white and the other reversed so that the negative was printed black. 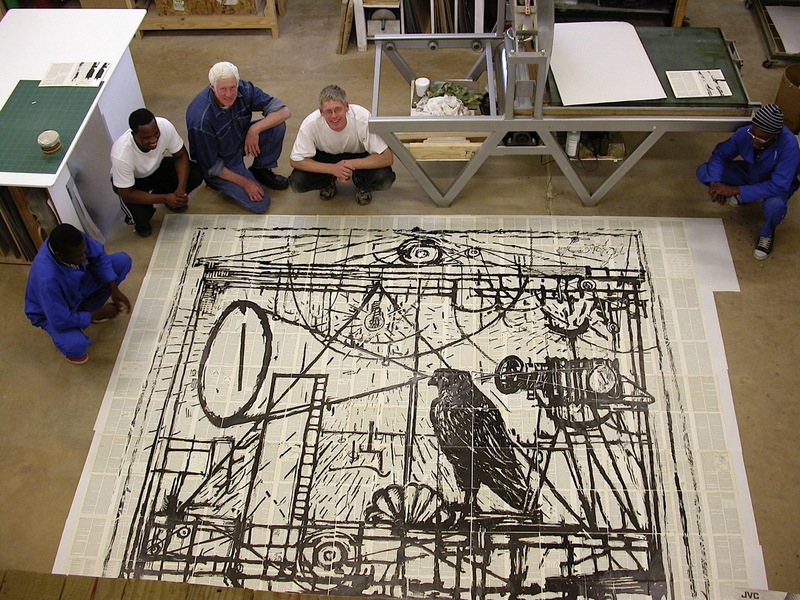 The final size of the work is 283 x 358cm and was presented in a box handmade by Peter Carstens. 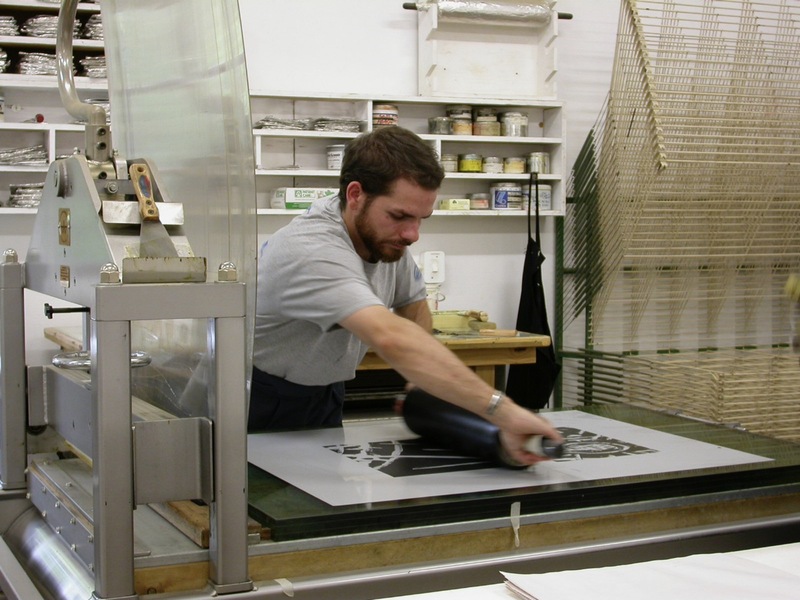 At the bottom of this page, you will find links to all the books that have been produced at The Artists' Press. Master printer Lee Turner printing the reverse pages. "Learning The Flute Reverse" laid out on the floor of The Artists' Press. 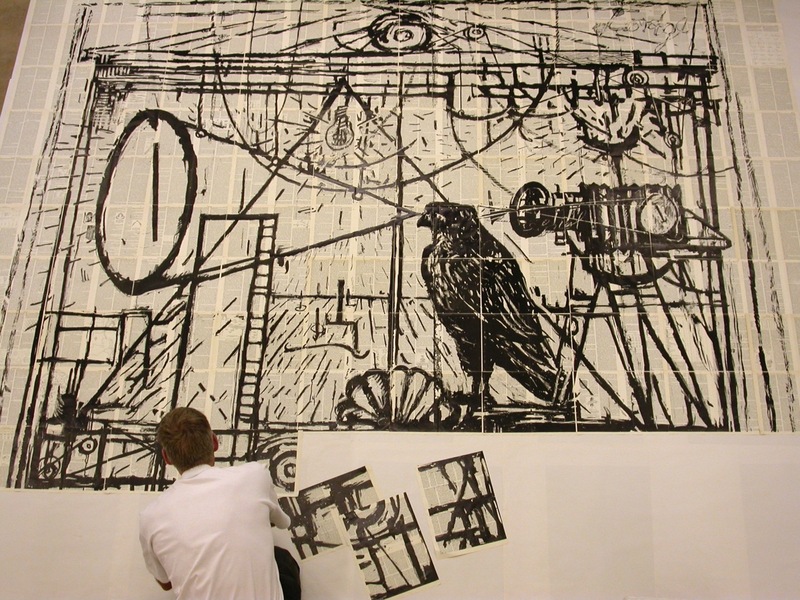 Mark Attwood assembling the work. 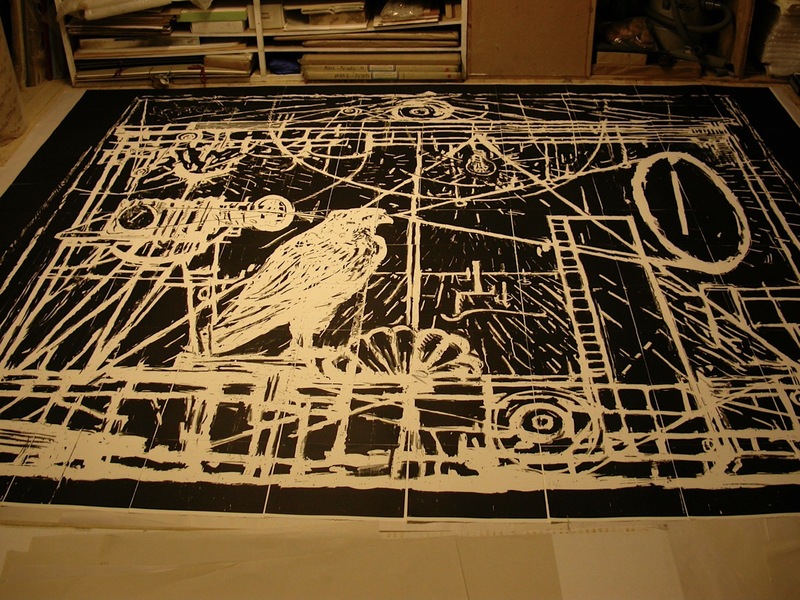 "Learning the Flute" is the largest print that we have editioned.